« Zorba’s Brother and political correctness at Princeton. Dudley Moore from the movie “Arthur.” 1981. Internet photo. I always liked the theme from Arthur. It is heard during the opening montage, aerial shots of New York City at night, in the movie Arthur starring Dudley Moore and Liza Minnelli among a gaggle of other stars. It won Best Picture at the Golden Globes. The film was ready to be released, but it needed music for the opening shots of New York City. Carole Bayer Sanger was working on the movie score with Burt Bacharach. Christopher Cross, a pop singer who was to sing the song, got involved and help write part of the piece, and Peter Allen got a credit for the title which Sanger pulled out of an old song file. So, at the Oscars, all 4 received statues from Bette Midler. 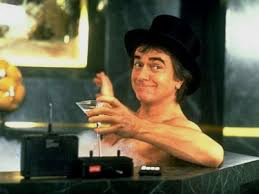 Dudley Moore died of a neurologic disorder when he was in his 60’s. Christopher Cross won 5 Grammy’s for his first album. He continues to perform at the age of 66. Don’t you just hate Perry’s wife?! Editor’s note: Tom. You win the Blogfinger award for the most obscure reference in our history. For this you get no prize, because I had to Google that You-tube video, and you right, that is one nasty termagant. Now you can look up that word, and we will be even! Tom— What explains your recollection? Paul, thank you for posting the song. As I said, I haven’t seem the movie in many years and that was by choice. The whole Dudley Moore story is just so sad. But you have reminded me what a great movie (and song) it was so I am planning to watch it soon. Also, I just stumbled onto this article about DM’s final years. He was lucky enough to have a friend take care of him in of all places – Plainfield NJ. Here is the link to the story.